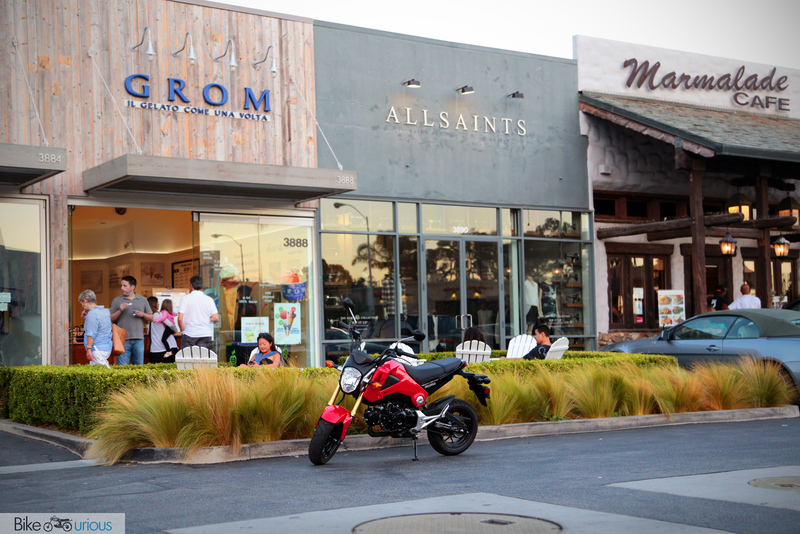 Hell, a custom Grom has been the most popular post on Bike-urious. 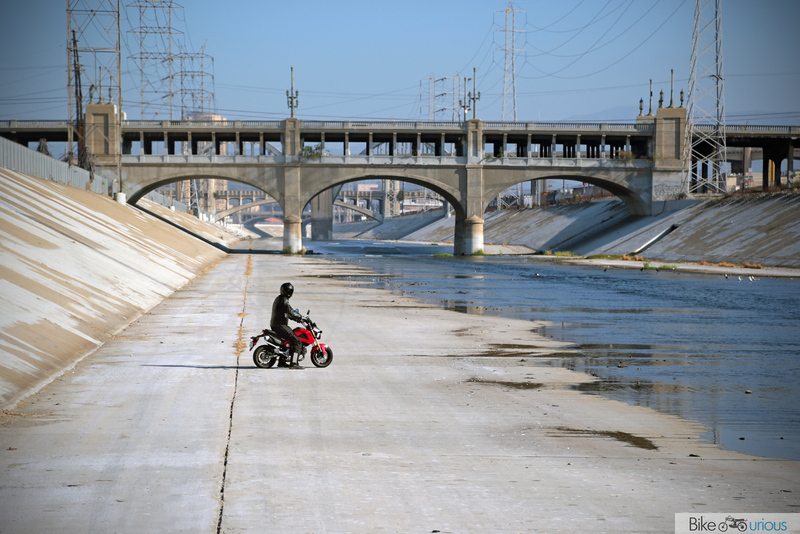 With that said, I’ve barely seen any in the wild, even in motorcycle-loving Los Angeles. I wanted to see what the fuss was about, so I reached out to Honda to see if I could get my grubby little hands on one. 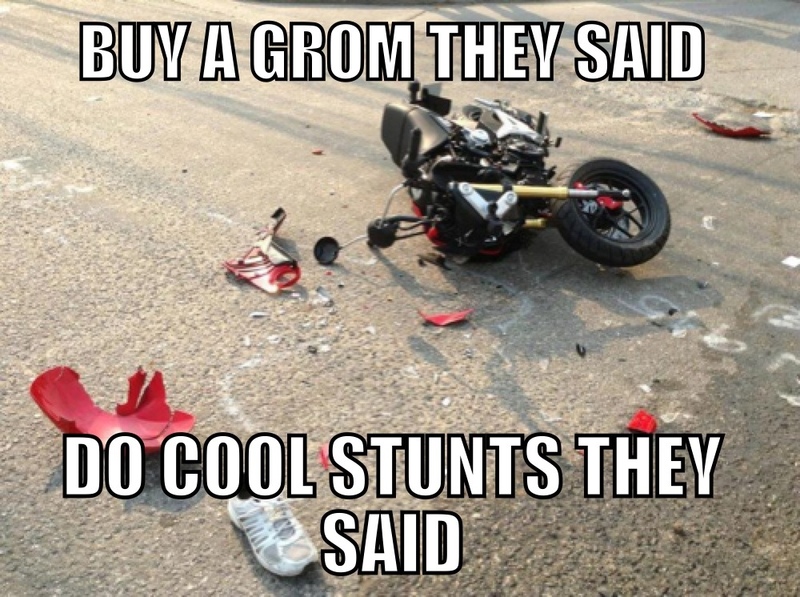 If for some reason, you haven’t heard about the Grom, have no fear. Known as the MSX125 in other countries, the Grom is powered by…a 125cc engine. Bet you didn’t see that coming. The engine produces 9 horsepower and 8 pound-feet of torque. 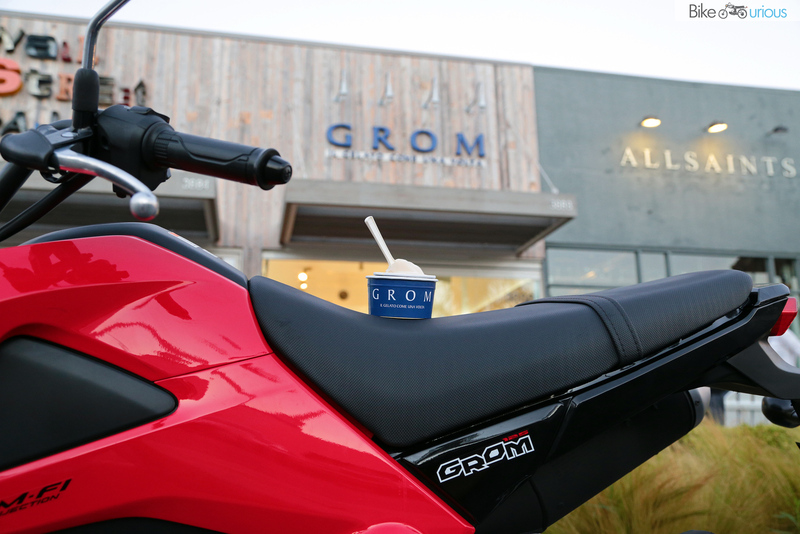 The name Grom comes from the Australian slang term for a young surfboarder…but good luck fitting a surfboard on this bike! 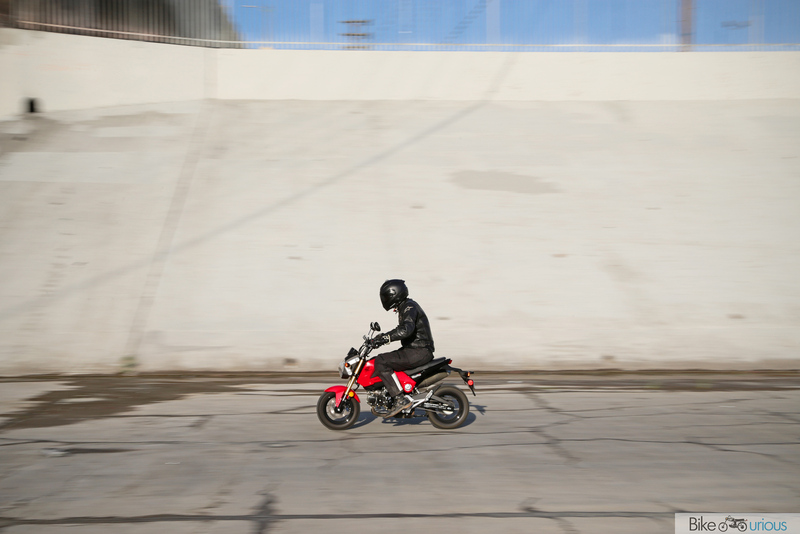 Before I had hopped on the Honda Grom, I assumed that it would be a great starter bike for the vertically challenged. In fact, if the Grom had been released earlier, I probably would have bought it for my girlfriend to learn how to ride on instead of the Honda S90 that became the logo of this site. Let me just state that I’m not one of those people that thinks a bike like the Ninja 250 is too small – even if it feels slow once you start getting seat time on faster bikes. I occasionally commute on the S90, even if I look like a circus bear riding a bicycle. I manage that in crowded LA traffic despite it having just 8 horsepower (when new). I think you can find the fun in all bikes – I enjoy being able to constantly pin the throttle like I’m Rossi, because doing so on most other bikes would mean jail time after 3rd gear. It might have just 8 horsepower but it’s actually quite sprightly until about 35 miles per hour. The only difference is that unlike most modern bikes, you’ll be fully wound up in 2nd gear by that point. I’ve seen claimed top speeds between 55 and 65 miles per hour, depending on who you ask. I wanted to get my own number. 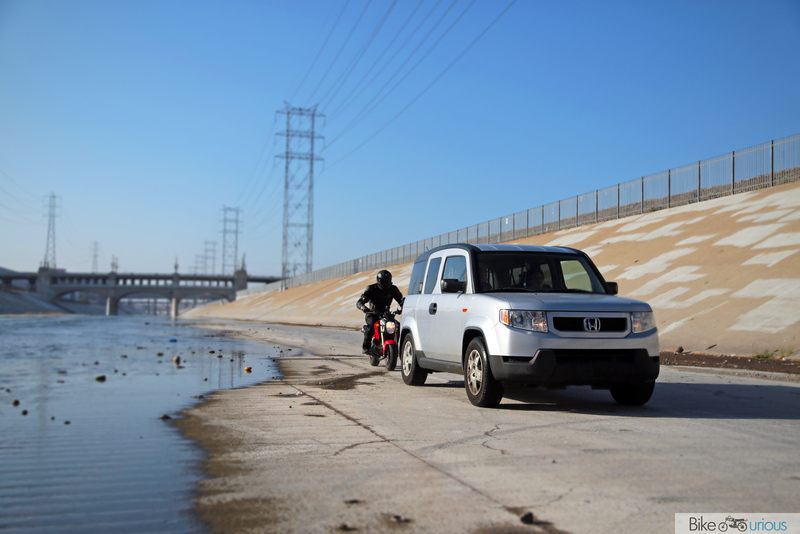 I’m 6’2″ and 180 pounds, and the Grom was able to hit 55 while carrying me on the concrete riverbed. Not bad, but I wanted to see if there was a way to go faster without modifying the bike in any way. I thought back to something that Car and Driver did several years ago with a different Honda – the Insight Hybrid. With that inspiration, I recruited a friend with a Honda Element, and decided to see how much extra speed I could get by drafting behind her. Ta-da! With a little help from a friend and complete disregard for my own safety, I was able to hit a redline-limited 73 miles per hour. Who needs the aftermarket for go-faster parts? Sure, the Grom isn’t an ideal highway cruiser (though someone on Reddit did take his Grom from Portland, Oregon to Alaska this summer), but every bike has weaknesses. The whole point of a motorcycle is to put a smile on your face when you’re riding it. Thanks to how nimble the Grom is, it’s hard not to grin. 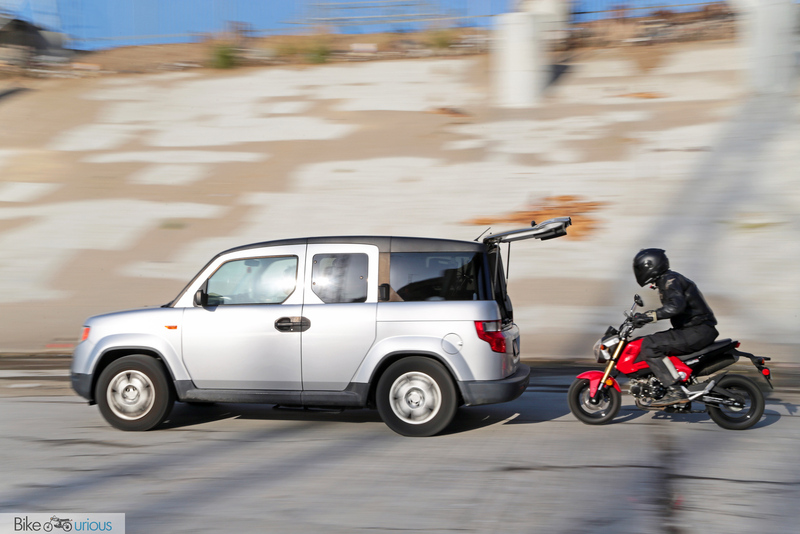 To me, the fun factor boils down to just how light the Grom is. It’s just a great little package to goof around on, which makes it so much fun. Look – lots of Groms together in one place! Considering what the Bike-urious logo is, I’d be remiss not to take a moment and compare the Grom with my cherished Honda S90. As you’d expect, the two are somewhat similar. We did a couple of drag races, and the S90 could not keep up thanks to the 35cc of displacement and 45 years of wear and tear it gave up to the Grom. 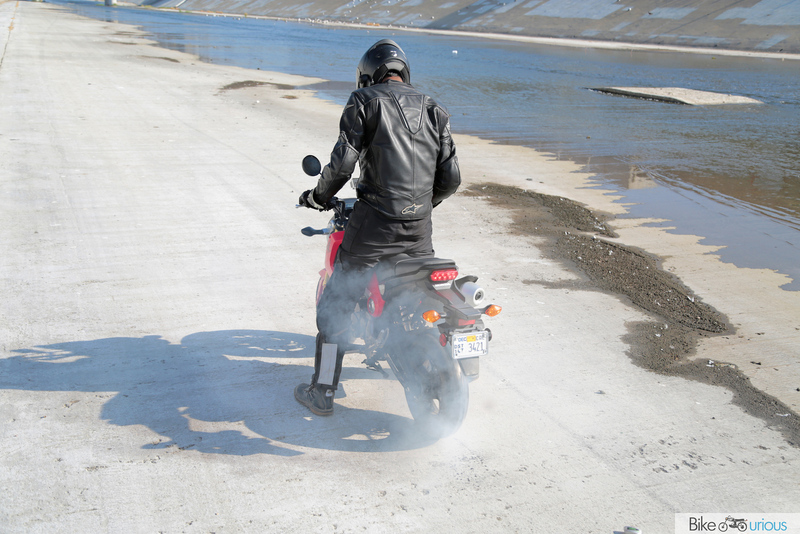 Switching between bikes also made it evident how much more nimble the Grom is thanks to the tiny front tire. I guess that’s progress! 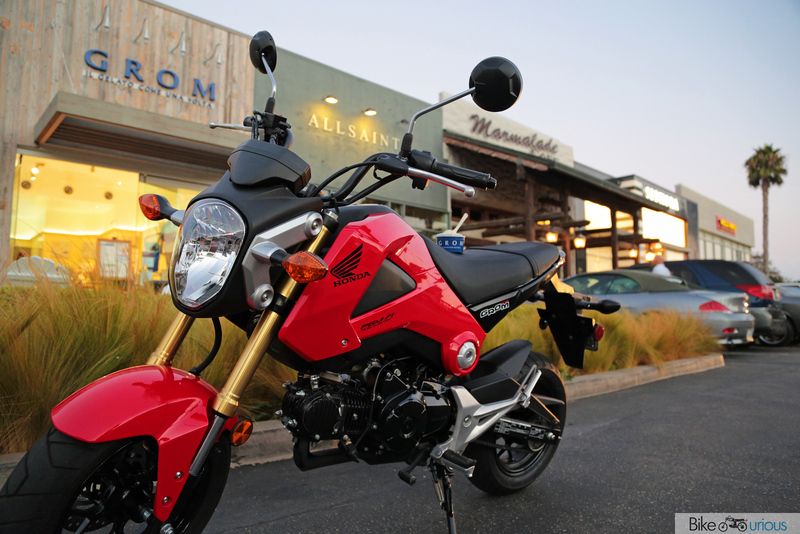 I absolutely adored the Grom, even if I would hesitate to spend my limited dollars on one [UPDATE: I’ll take this back. 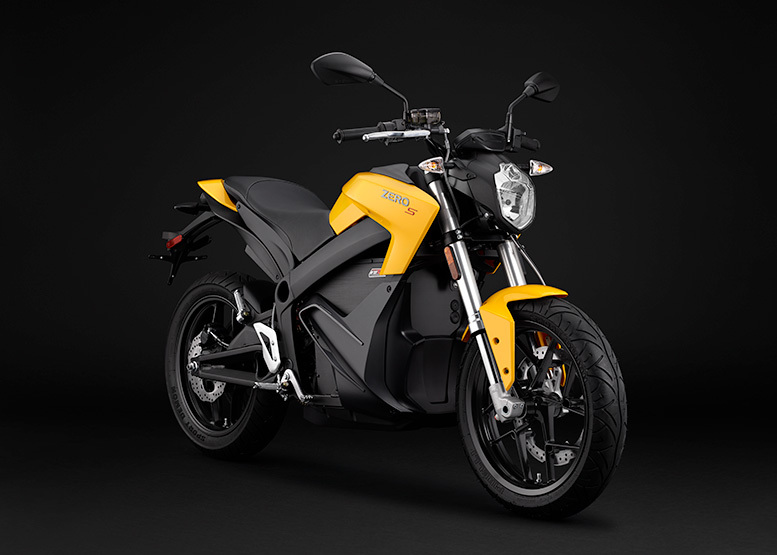 I’m looking to buy a new motorcycle for the girlfriend and the Grom is now on the short list. If she was taller than 5’1″ I’d probably be looking for something that was highway capable, though.] The light weight makes it easy to ride and plenty of fun to goof around on. I won’t pretend to have some sort of revelation about this bike – it’s probably what you expect by looking at it. With that said, this bike gave me some of the most fun I’ve had on two wheels in a very long time, entirely because of how simple and easy it is to ride. 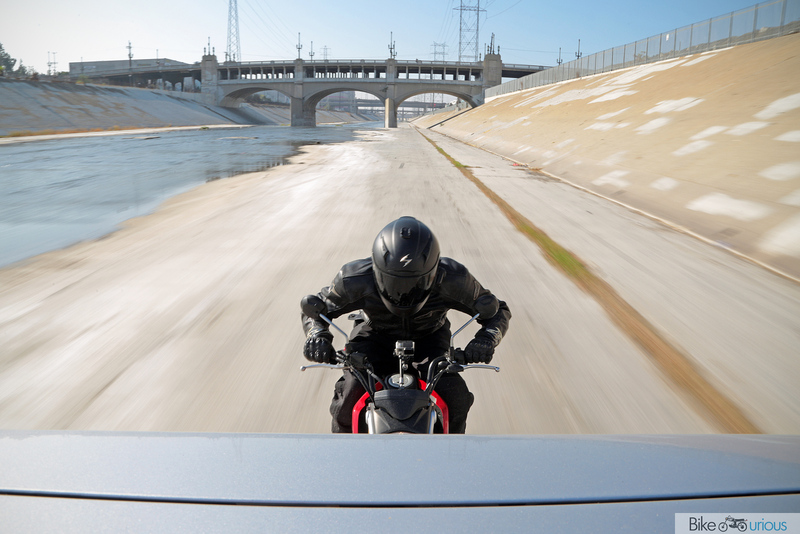 It doesn’t matter what you currently ride – you owe yourself a few miles on the Honda Grom. Just try not to get any speeding tickets.